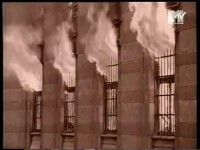 The “documentary” version features no footage of the Passengers performance in Modena, Italy. 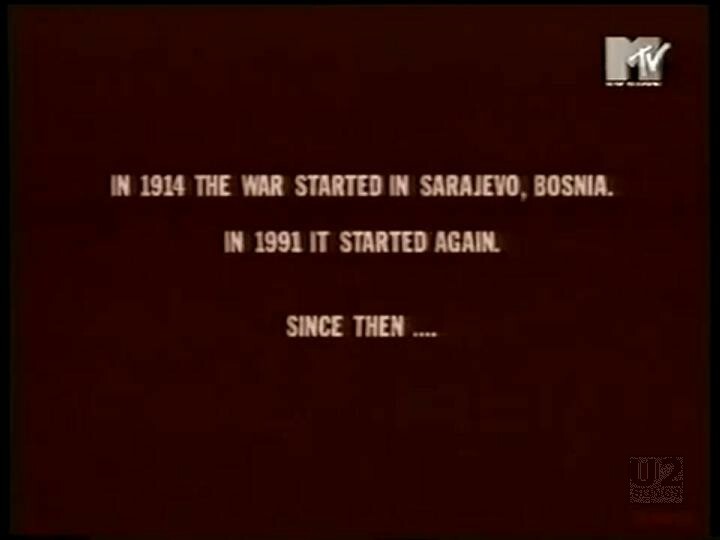 Instead, it features more footage from the Miss Sarajevo documentary by Bill Carter, plus chilling stats about the war in Bosnia. 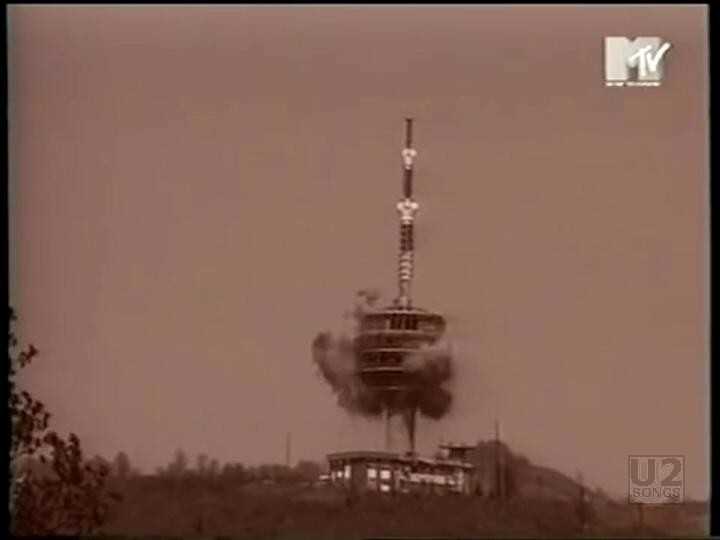 The video is sepia coloured throughout and features footage from the “Miss Sarajevo” pageant, as well as footage of ordinary people in the streets of the city, and numerous shots of the city and the damage caused by the ongoing war. 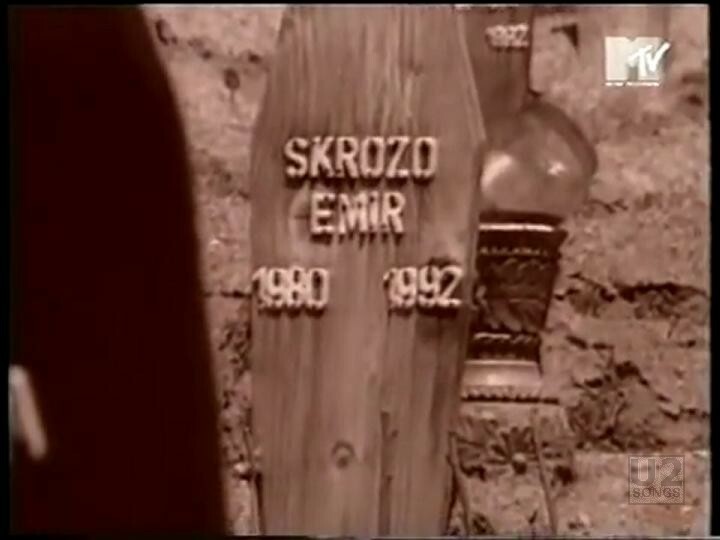 The footage of the beauty contest was filmed in a basement in Sarajevo in 1993, it was held there in an attempt to avoid sniper attacks. 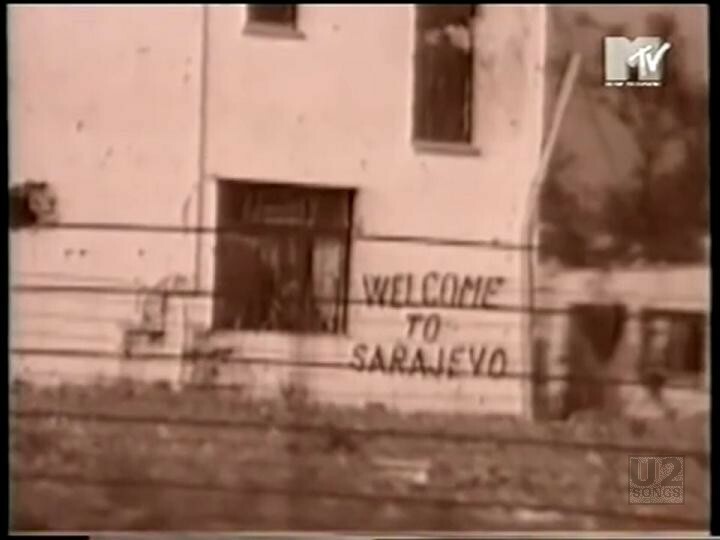 The footage from the video came from Bill Carter’s documentary Miss Sarajevo. The documentary took Carter to Sarajevo in the winter of 1993 and he lived there during the conflict. U2 would show live satellite link ups with Carter during the Zoo TV tour. 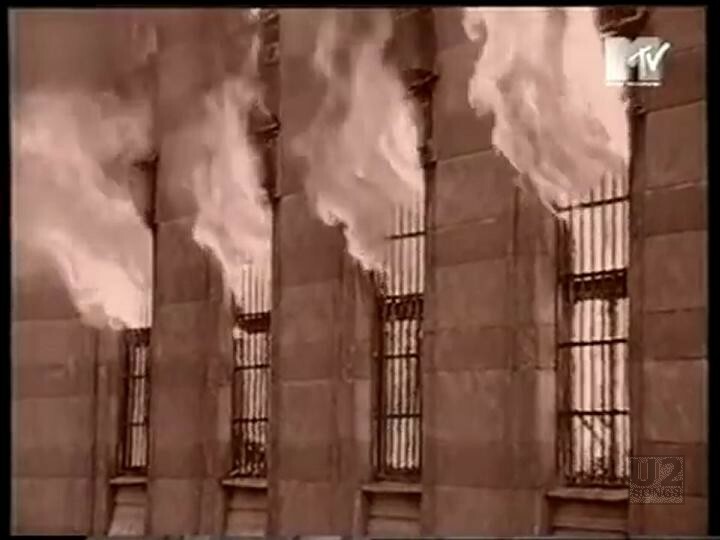 A second version of the video was released later which featured footage from Bono, The Edge, and Eno joining Pavarotti in concert in Modena, Italy.